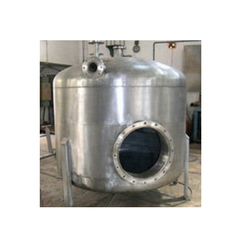 We are a leading Manufacturer of stainless steel storage tank, agitator & reactor, tank fabrication, chemical plant reactors, oil storage tank and transformer oil storage tanks from Mumbai, India. DESIGN CODE API 650 ED 2013 & etc. Material of Construction SA 240 TP 304 & 316 etc. We are Leading Manufacturer And Supplier in Stainless Steel Storage Tank. 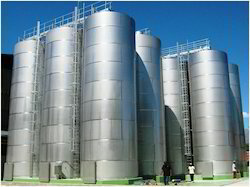 The storage tank offered by us is checked on numerous parameters so as to deliver a defect free range. We manufactured this storage tank using premium grade material and progressive technology in tandem with set industry standards. Also, our storage tank is known among customers for its safe & reliable storage. 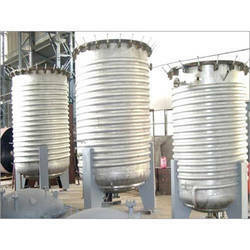 We are the remarkable entity, engaged in offering the superior range of Agitator & Reactor. Our offered product is manufactured using cutting-edge technology & finest components keeping in pace with industry norms. We are giving this product on numerous specifications so as to meet the needs of customers. As well, this product is acknowledged in the market for its corrosion-proof finishing. Tank Fabrication solutions offered are delivered using quality material support as well as by using the latest fabrication technology so as to assure of reliable performance support. Further, these fabrication services can also be developed as per OEM specifications and defined industry standards. Some of its features include coming supported by quality accessory support including safety valve, pressure gauge, thermometer, cut-off valves, and others; available in different functional capacities of 10 to 20000L; use of different construction material choices like 316L/304 stainless steel, carbon steel; available in vertical or horizontal design configurations. Chemical Plant Reactors offered come backed by advanced PLC control that allows for easier monitoring swell as the set of operating parameters. Further, the presence of automatic control for adjusting of valve assures reliable controlling of feeding system and temperature of the reactor. Some of its features include reactors feature quality assured component support like body, heating devices, cooling devices, gears, mixing devices and others for assuring reliable performance; support of auxiliary equipment like condenser, water separator, distillation column, head tank, and others; suitable for use in resins, paint, pharmaceutical, and other chemical production. 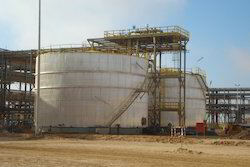 Backed by our skilled professionals, we are engaged in manufacturing and supplying of supreme quality Oil Storage Tank. This storage tank is accessible in various specifications as per the variegated demand of customers. 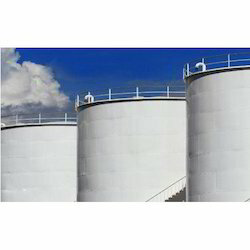 Offered storage tank is acknowledged in the market owing to its oil & chemical resistivity. As well, this storage tank is tested against several parameters in ahead of final dispatch to eradicate production-defects from our end. DESIGN CODE API 650/IS 803 etc. Material of Construction IS 2062 Gr. A/B or SA 36 etc. The Transformer oil storage tank offered by us is checked on numerous parameters so as to deliver a defect free range. We manufactured this storage tank using premium grade material and progressive technology in tandem with set industry standards. Also, our storage tank is known among customers for its safe & reliable storage. Material of Construction IS 2062 Gr A/B or SA 36 etc. The Furnace oil storage tank offered by us is checked on numerous parameters so as to deliver a defect free range. We manufactured this storage tank using premium grade material and progressive technology in tandem with set industry standards. 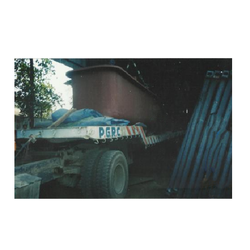 Also, our storage tank is known among customers for its safe & reliable storage. 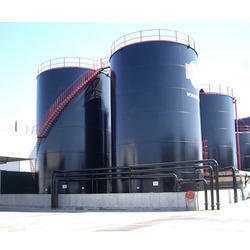 Chemical Storage Tanks offered to come in quality construction finish as per defined industry standards. Our expertise lies in making end solutions available in both standard and customized configuration options so as to perfectly match up with the specific end usage demands of the customers. Some of its features include solutions available in SUS316 or 304-grade metal finish; choice of portable/vacuum type finish; available in different volume capacities; punch-formed and free from dead corner and welding; polished inner cylinder surface finish; available in vertical type/horizontal type configuration choices. We are leading organization highly engaged in offering high-quality Industrial Kettle. The kettle offered by us is manufactured under the direction of experts using top notch material & modern techniques in adherence with the industry norms. Offered kettle is accessible in different specifications in accordance with the customer’s requirements. Our kettle is well checked from our side in order to deliver a flawless range in the market. With the efforts of our professionals, we are able to provide an exclusive range of Zinc Pot. Our offered zinc pot is manufactured using cutting edge technology & finest components keeping in pace with industry norms. We are giving this zinc pot on numerous specifications so as to meet the needs of customers. 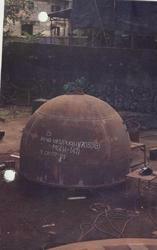 As well, this zinc pot is acknowledged in the market for its spacious construction.